Join us for a night of creative writing & music by and for diverse voices from NYC to Boston! 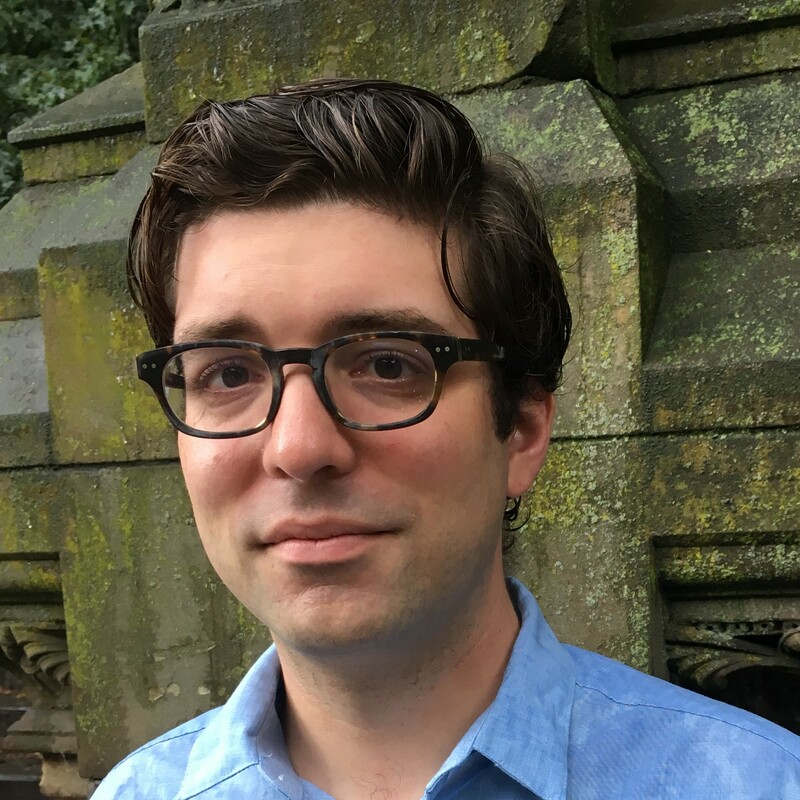 Our evening will feature lyrical readings and musical performances by Matthew Wallenstein, Rita Banerjee, Erini S. Katopodis, Sounds in Bloom (Diana Norma Szokolyai & Dennis Shafer), Fawn (Anne Malin Ringwalt and Will Johnson) and Elizabeth Devlin, and will take place at the Democracy Center in Harvard Square, Cambridge, MA. Tickets are available for pre-purchase in advance on Eventbrite, and will be available for purchase at the door starting at 6:30 PM. Sliding scale: $5-10. Your ticket helps us support the artists and the Democracy Center. Please note that the Democracy Center is not wheelchair accessible. 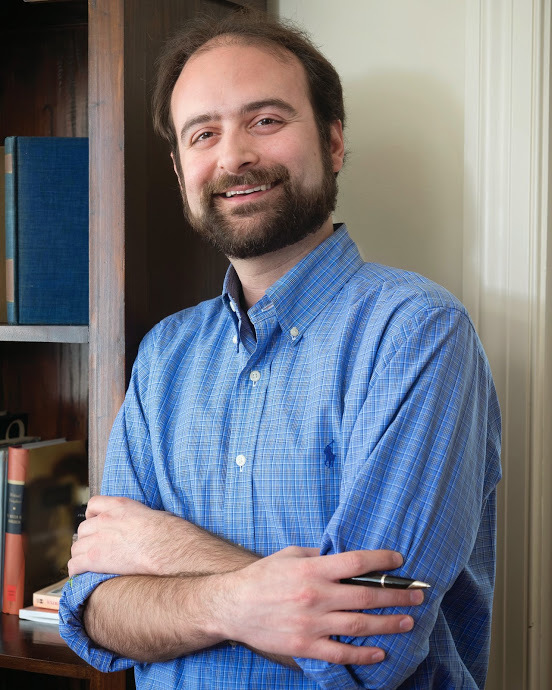 Matthew Wallenstein‘s writing has been published by the University of Chicago, the University of Maine Farmington, Bowling Green Sate University and others. He lives in a small Rust Belt town. “Tiny Alms,” his new release, covers a range of topics from growing up in poor rural New Hampshire to mental illness to the deportation of his wife. 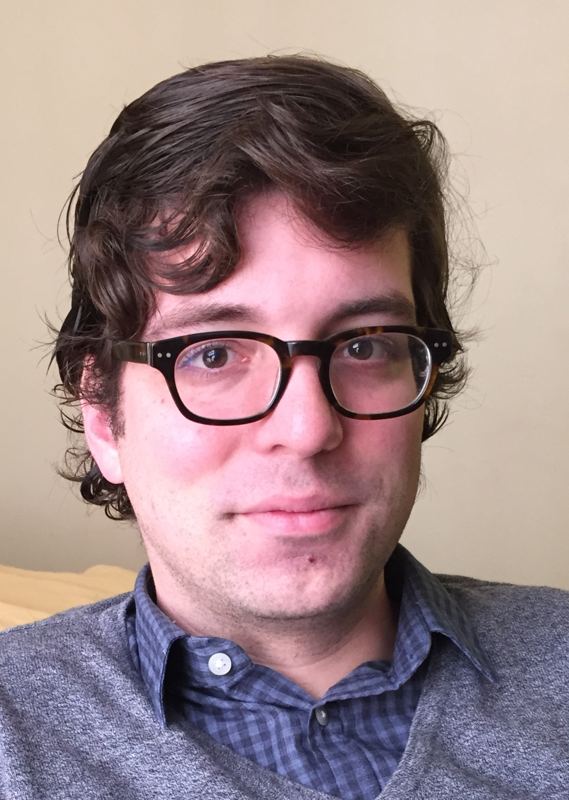 It is his first book and was Published by Permanent Sleep Press. Rita Banerjee is the Executive Creative Director of the Cambridge Writers’ Workshop and teaches at Rutgers University. She received her doctorate in Comparative Literature from Harvard and her MFA in Creative Writing from the University of Washington, and her writing appears in Poets & Writers, The Rumpus, Painted Bride Quarterly, Mass Poetry, Hyphen Magazine, Los Angeles Review of Books, Electric Literature, VIDA: Women in Literary Arts, AWP WC&C Quarterly, Queen Mob’s Tea House, Riot Grrrl Magazine, The Fiction Project, Objet d’Art, KBOO Radio’s APA Compass, and elsewhere. Her first collection of poems, Cracklers at Night (Finishing Line Press), received First Honorable Mention for Best Poetry Book of 2011-2012 at the Los Angeles Book Festival, and her novella, A Night with Kali, in Approaching Footsteps (Spider Road Press), released in November 2016. Her edited volume, CREDO: An Anthology of Manifestos and Sourcebook for Creative Writing, will release in March 2018. 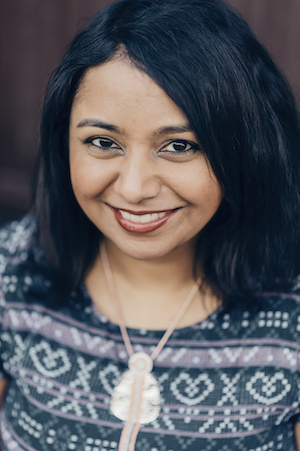 She is currently working on a novel, a book on South Asian literary modernisms, and a collection of lyric essays. 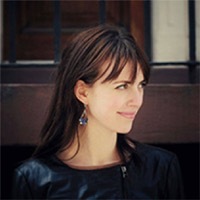 Erini S. Katopodis is a Greek-American poetry, fiction, and music writer from Los Angeles, CA. 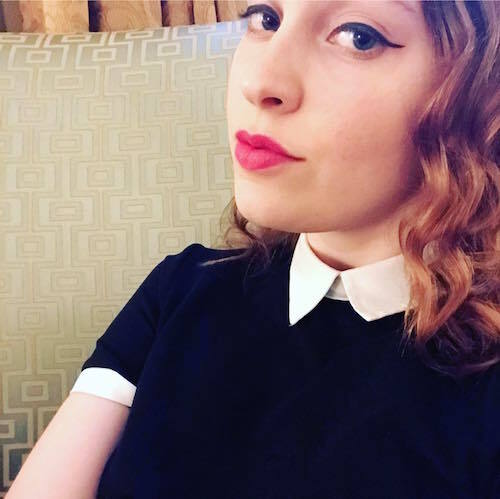 She’s graduating from Emerson College with a BFA in Fiction this May. 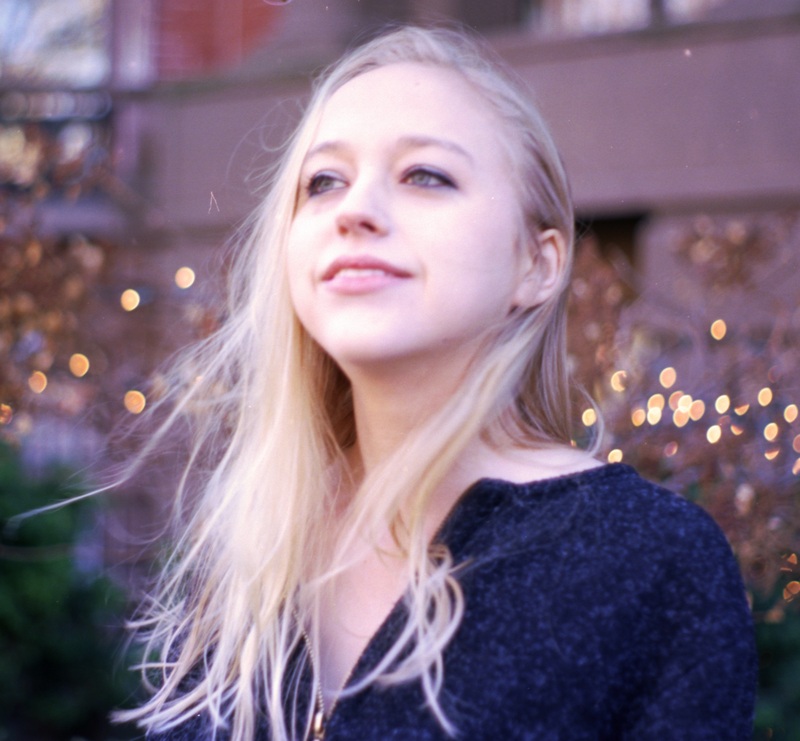 Erini loves her music to be dreamy, folky, and intimate, with a touch of the strange, and loves making new sounds with new people. Performing with her are Shelby Marnett and Rob Luzier. 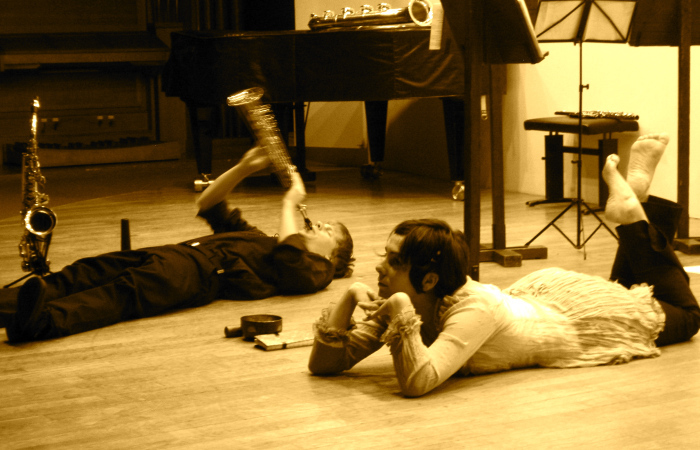 Parisian literary life and contemporary art & music laid the groundwork and inspiration for Sounds in Bloom, a poetry-music-movement-art ensemble co-founded by poet Diana Norma Szokolyai & saxophonist Dennis Shafer in 2006. The Boston Globe has called their work “avant-garde.” Originally participating in David Barne’s Spoken Word nights in Paris and featured by Paris Soirees Salons, Sounds in Bloom now performs in NY, Boston and & Paris. Some places they have performed include The Firehouse Space, Pete’s Candy Store, Barbès, The Boston Conservatory, The Outpost, Theatre Salle Edmond Michelet, and the Cité International des Arts. 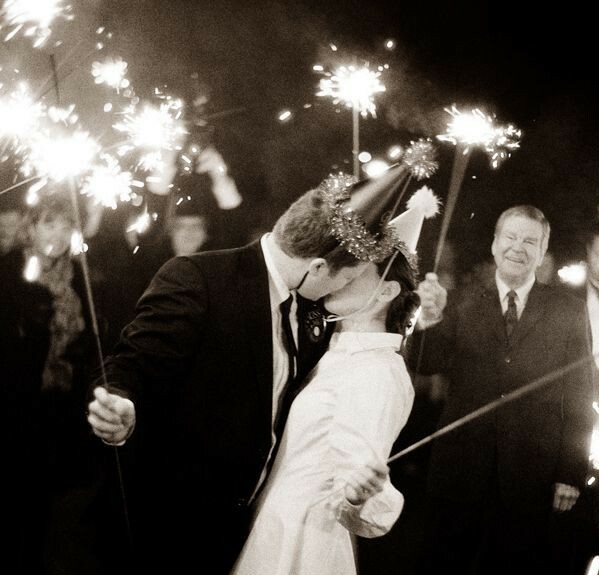 Fawn is Will Johnson and Anne Malin Ringwalt. Combining elements of banjo, guitar, ukulele, synth and poetry, the duo explores the often-ignored spaces between pre-established genres. Fawn’s debut EP, “Neither Dog Nor Car,” was released on November 5, 2016, and their first music video, for “Good Earth,” premiered on NPR’s All Songs Considered TV in January 2017. A few weeks ago, the Cambridge Writers’ Workshop hosted a night of poetry and music at the beautiful Church of the Covenant for our first CWW Presents event in Boston, MA. The Church of the Covenant offer a massive yet warm and welcoming space to all who enter. We sat in the pews amongst others gathered to appreciate art in all its forms and listened to the art of Audrey Harrer, Janaka Stucky , and Fawn. The night was opened with Audrey Harrer, a composer, harpist, and vocalist who bridge the gap between traditional music and new technology to create haunting melodies that linger with you long after the notes have dissipated into the air. As she plays on the harp or sings during her performance, Audrey records the melodies and melds them into her work, creating harmonies and dissonances that create music that fills the space of a cathedral. As Audrey left the stage, Janaka Stucky stood before us. Janaka is an American poet, the founding editor of Black Ocean, and the poetry journal Handsome. He opened his performance with poetry that both commanded the attention of his audience, but turned to soft intimacy that knocked the wind out of the audience with each new poem. He talked to the audience almost conversationally at one point, and we laughed for a moment, unknowing that a conversation about mechanics would turn to poetry of an army of insects made out of his own body. His performance that evoked imagery that was both unnerving yet so personal reached into a part of people that we are almost afraid of acknowledging, the mortality of our bodies but the permanence of what we leave behind. The final performance of the night was by the light, melodious strings and vocals of the group Fawn, led by Anne Malin Ringwalt and Will Johnson, who released their debut EP Neither Dog Nor Car in the November of 2016. Their music, a balance struck between the strings of ukulele, banjo, and guitar is so carefully struck with synth it is seamless, yet symbiotic in its need for the other. One song performed was a version of Amazing Grace whose lyrics had been changed to a version the created a connection with the air in our lungs and its connection with the world we inhabit that nearly brought me to tears. It is the nature of their music’s composition and lyrics that brings light into turmoil and releases the tension that comes with the passage of time. Voice is the oldest way to tell our stories, words and sounds passed down from generation to generation that linger long in memory. We are so grateful to these artists for sharing their voices and music with us, and the Church of the Covenant for giving us such a beautiful welcoming space to share the art of music with the city of Boston. 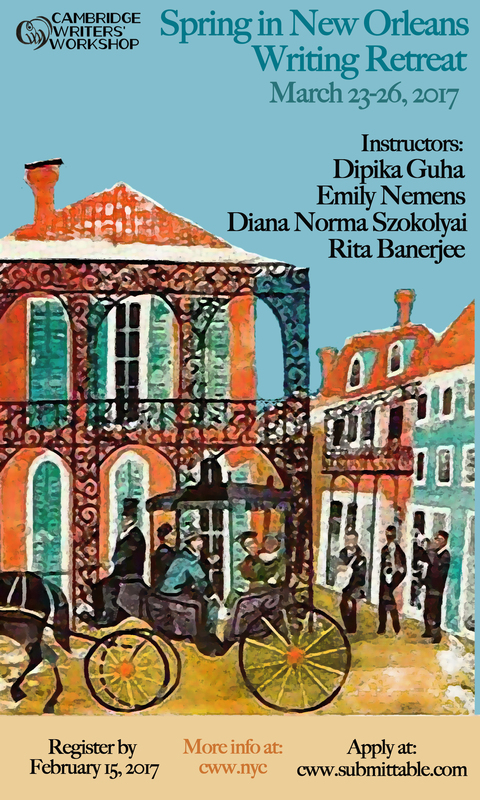 Our next CWW Presents evening will take place on Friday May 5, 2017 at the Democracy Center and will feature poetry, fiction, and music performances by Elizabeth Devlin, Diana Norma Szokolyai, Erini Katopodis, and Rita Banerjee! Stay tuned for more information on our upcoming CWW Presents evening in Cambridge, MA! Kate McMahon is a fiction writer who also moonlights as a full-time attorney. 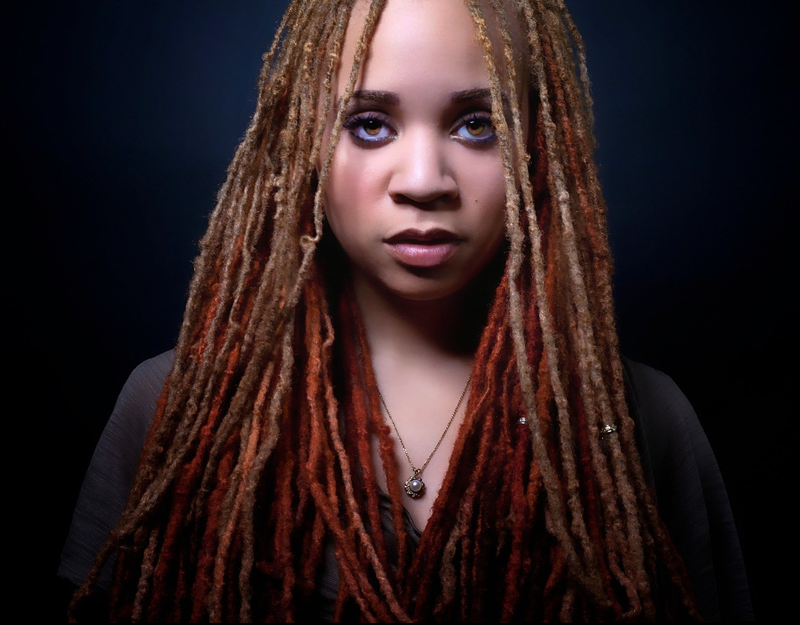 Before law school, she was chosen to participate in the selective creative writing concentration at Boston College, where she won the Cardinal Cushing Award for best short fiction and also completed a novella. 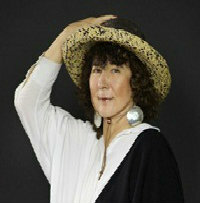 Most recently, her short story “Swapped” was published in Post Road Magazine. She lives in Brooklyn with her husband and two small sons. 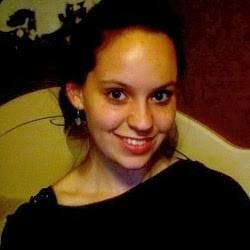 Emily Smith is a Managing Editing and Communications Intern for the Cambridge Writers’ Workshop. Originally from Sarasota, Florida, she holds a BFA in Creative Writing from the New Hampshire Institute. 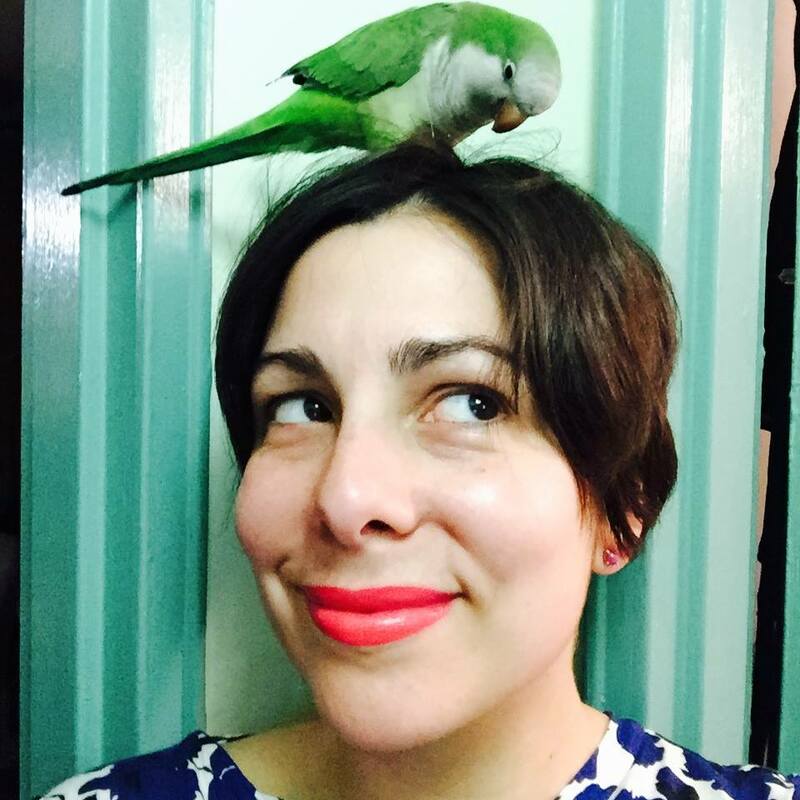 She writes for The Ploughshares Blog and her work has appeared or is forthcoming in Bustle, Brevity, Luna Luna and more. 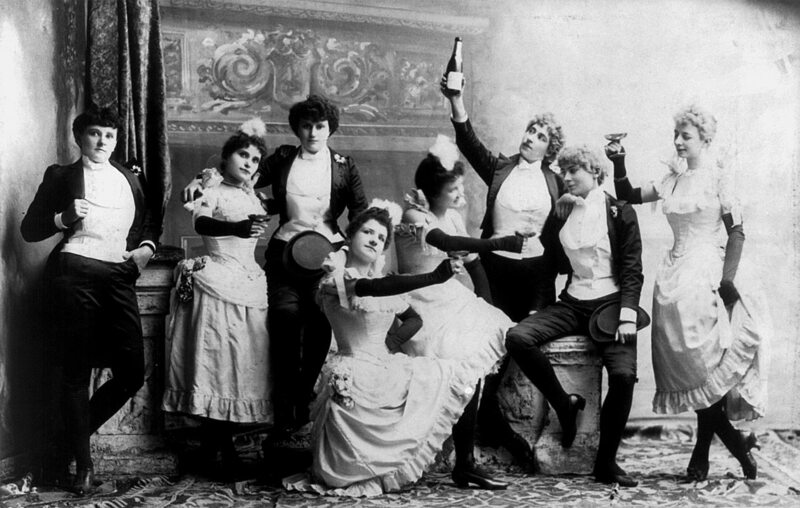 Happy New Year 2015 from the Cambridge Writers’ Workshop!! 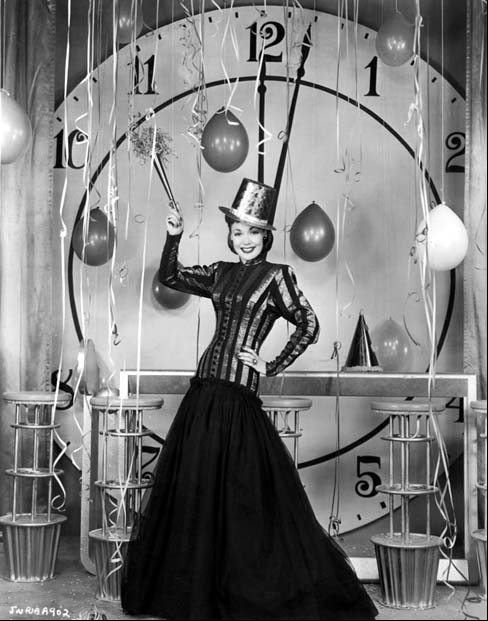 Happy New Year 2015 from the directors and staff of the Cambridge Writers’ Workshop! 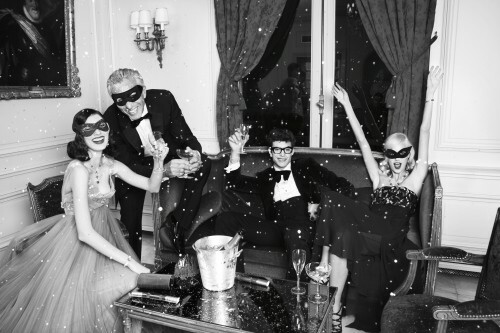 We hope you’re all as excited for 2015 as we are! We’re planning a delightful, productive year for our writers and artists with plenty of opportunities to travel, write, practice yoga, and network, and we’re looking forward to seeing you at our retreats, workshops, readings, and literary fest events in 2015! The Cambridge Writers’ Workshop had a wonderful year in 2014. Over the last twelve months, we’ve had a chance to hold retreats and readings across America and the world, meet exciting writers, yoga practicioneers, and artists, and have found new ways to inspire our own writing. Our year began with the 2014 Association of Writers and Writing Programs Conference in Seattle, WA in February. 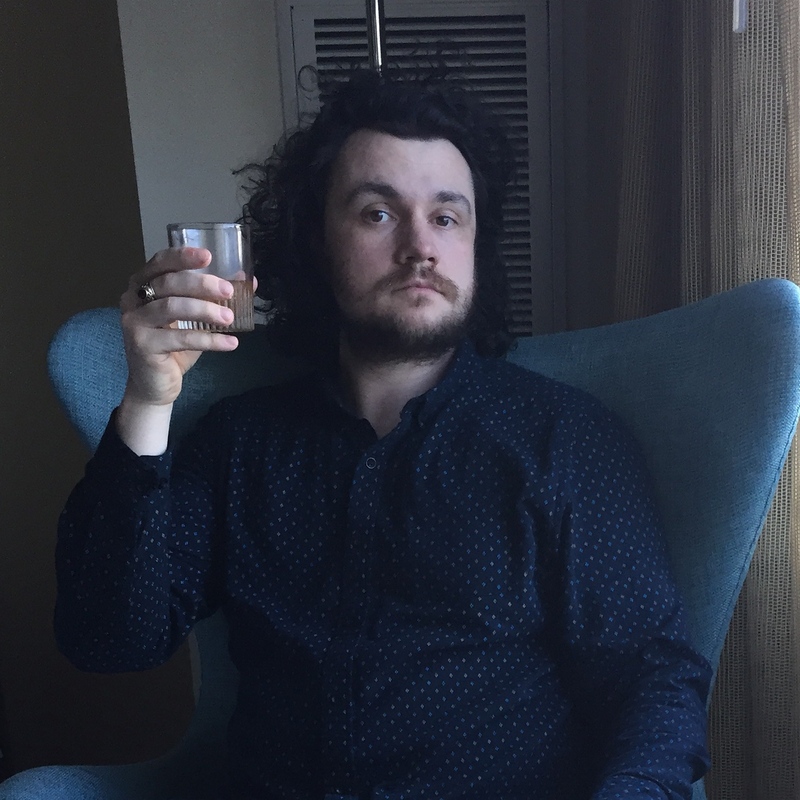 At AWP 2014, we got a chance to announce our CREDO Anthology of Manifestos & Sourcebook for Creative Writing, promote our new literary internships, and discuss our Summer 2014 Château de Verderonne Yoga & Writing Retreat, and our AWP 2014 A Night at the Victrola Reading. At AWP 2014, CWW Directors, Rita Banerjee and Diana Norma Szokolyai signed copies of their books, Cracklers at Night and Parallel Sparrows, respectively. 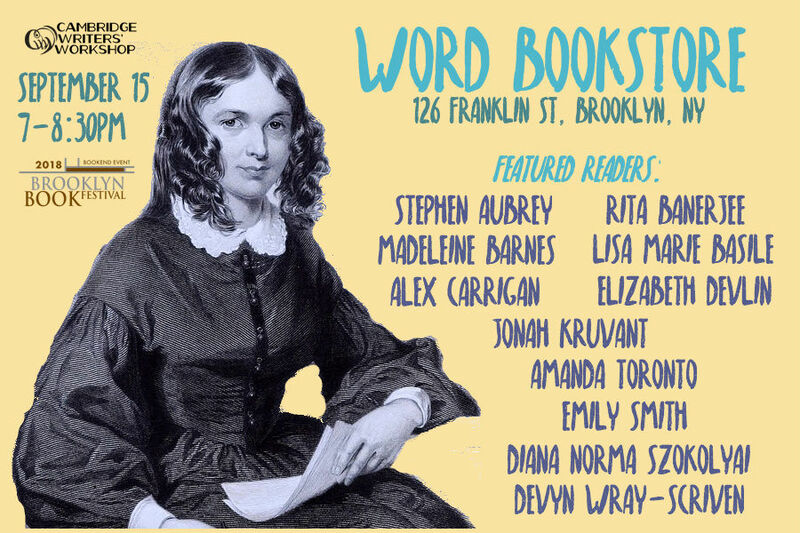 And our A Night at the Victrola, featuring readings from authors such as Rita Banerjee, Diana Norma Szokollyai, Peter Mountford, Anca Szilágyi, Nancy Jooyoun Kim, Pattabi Seshadri, Susan Parr, Johnny Horton, Talia Shalev, Leah Umansky, Dena Rash Guzman, Kevin Skiena, Jessica Day, and Carrie Kahler. Our AWP 2014 literary reading was even featured in Vanguard Seattle as a top AWP reading event. After AWP 2014, we were off to our annual writing and yoga retreat to the Château de Verderonne in Picardy, France. The event, which was featured in Poets and Writers and Quail Bell Magazine, was a chance for writers to spend two weeks in the French countryside, participating in writing workshops and craft of writing seminars, yoga classes, and culturally tours of Paris and Chantilly. We liveblogged the entire event as well, sharing dozens of photos from our trip while also allowing our writers to share their thoughts on the experience. Our New Yorker members also hosted an event as part of LitCrawl Manhattan in September 2014. Our Literary Masquerade featured readings of poetry, noir, science fiction, and original songs from Diana Norma Szokolyai, Rita Banerjee, Gregory Crosby, Elizabeth Devlin, Jonah Kruvant, and Nicole Colbert. We also hosted an annual Pre-Thanksgiving Yoga and Writing Cleanse in November 2014. The two day event kicked off with yoga lessons from Elissa Lewis, followed by fresh juice cleanses, and creative writing workshops and craft seminars from Diana Norma Szkolyai, Jessica Reidy, and Jonah Kruvant. Some of the creative writing classes included on the retreat included “The Art of Withholding,” “The Art of Revision” and “Sense of Smell, Memory, and Narrative.” Our Pre-Thanksgiving Yoga & Writing Cleanse was an opportunity for the participants to cleanse themselves mentally, spiritually, and creatively before the bustling holiday season, and was even featured in a piece in Quail Bell Magazine. In 2014, we also began work on CREDO Anthology of Manifestos & Sourcebook for Creative Writing. The collection will feature personal writer manifestos, essays on writing advice, and writing exercises to help spur creativity. Our staff has greatly enjoyed critiquing and conversing with writers on this publication, and more information about our featured writers will be announced shortly. In 2014, we also welcomed our first interns to the Cambridge Writers’ Workshop, and these interns include the wonderful Alex Carrigan, Katy Miller, and Megan Tilley, all of whom have helped the CWW greatly this year. They’ve helped manage our social media and written up post about our events, critiqued and edited submissions for CREDO, shown their talent for graphic design and corresponding with writers and hosts in French, Spanish, and English, and have provided much valuable assistance on our retreats and literary events this year. We’re excited to have Alex, Katy, and Megan on our team, and we can’t wait to show you what they’ve helped us plan for 2015! This was also a good year for our individual staff members getting published. Quail Bell Magazine featured plenty of creative writing from our staffers, including Jessica Reidy’s essay on novel research in Paris, Norma and Rita’s Mis/Translation poems, Megan Tilley’s poem “Puddle,” and Alex Carrigan’s poem “When I First Saw Her.” Reidy also had a series of trauma poems featured in Luna Luna Magazine and Tilley was featured in Fictionvale. Szokolyai was also named one of twenty Romani authors you should be reading by VIDA and published in the anthology Other Countries: Contemporary Poets Rewiring History. While 2014 proved to be a very exciting year for all of us, our staff is quite ready to move on to our next round of exciting events. 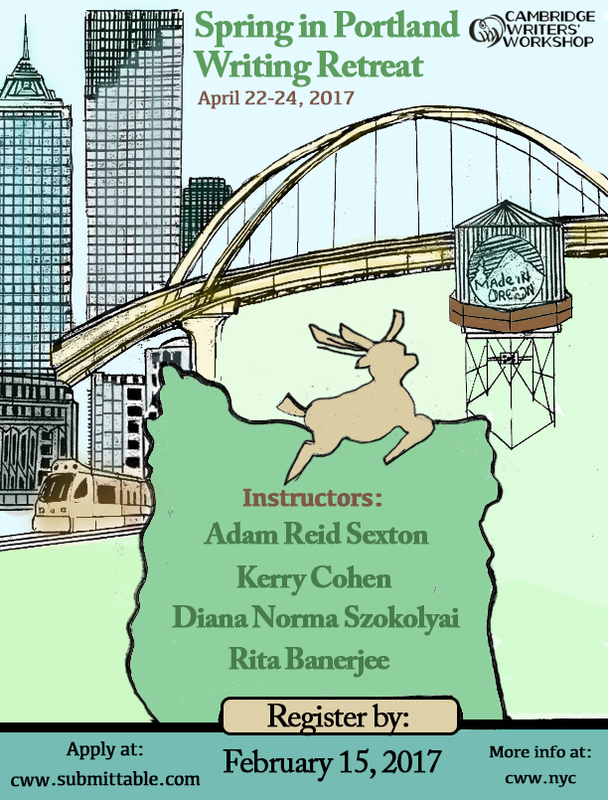 The CWW will once again table at AWP in Minneapolis from April 8-11, 2015 You can find us at the AWP 2015 Bookfair at Table 954. We will also be planning an offsite reading, and more information about that will come as we get closer to the event. Join us April 2-5, 2015 for our first annual springtime Writing & Yoga Retreat in beautiful and gilded Newport, Rhode Island. Our Newport retreat offers the opportunity for writers of all genres and levels to work alongside award-winning authors & editors to hone their craft and expand their writing skills, while working on new or existing projects. Faculty includes internationally renowned author and writing coach Kathleen Spivack (fiction, poetry, nonfiction), Stephen Aubrey (playwriting, screenwriting), Diana Norma Szokolyai (poetry, nonfiction), Rita Banerjee (poetry, fiction), and Elissa Lewis (yoga, meditation). Registration closes on February 20, 2015 and spots are limited, so sign up on cww.submittable.com as soon as you can. The Cambridge Writers’ Workshop Summer in Paris Writing Retreat will take place July 22-30, 2015 in France. The retreat offers participating writers of all genres and levels to work alongside award-winning authors and editors. Participating writers will hone their craft and expand their writing skills, while working on new or existing projects. There will also be time to explore the city of Paris in all of its historical, literary, and romantic charm. Situated in heart of Paris’ Montparnasse neighborhood, amongst the fresh and popular open air markets and charming boutiques, the hotel where we will stay is full of charm and our Moroccan themed classroom will offer a wonderful oasis to practice the writing life. Faculty includes internationally renowned author and writing coach Kathleen Spivack (poetry, fiction, nonfiction), David Shields (fiction, book-length essay), Diana Norma Szokolyai (poetry, nonfiction), Rita Banerjee (poetry, fiction), and Elissa Lewis (yoga, meditation). If you’d like to join us in Paris, please apply online at cww.submittable.com by May 5, 2015. And from August 3-10. 2015, join the Cambridge Writers’ Workshop on our summer writing retreat to the cultural oasis of Granada, Spain. Located at the foot of the Sierra Nevada mountains in Andalucía, Granada is one of the gems of Spain and has inspired writers from Washington Irving to Salman Rushdie to Ali Smith. Let the old city stimulate your writing with its winding streets, Moorish history, and evocative landscapes. Or, indulge in delicious Andalucían cuisine and traditional Arab baths. 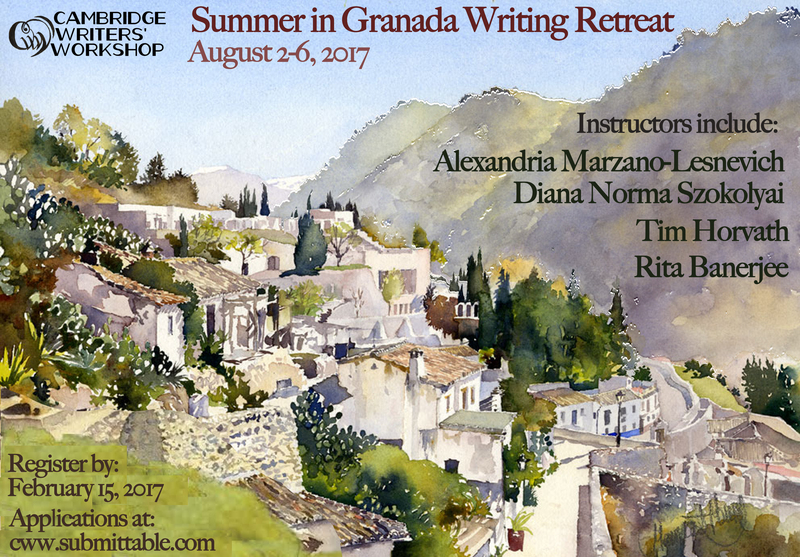 Work with world-renowned authors on your manuscript, or look to the beauty and warmth of Granada to inspire all-new projects. Faculty includes Rita Banerjee (poetry, fiction), Diana Norma Szokolyai (poetry, nonfiction), Jessica Reidy (fiction, poetry) and Elissa Lewis (yoga, meditation). If you’d like to join us in Granada, please apply online at cww.submittable.com by April 20, 2015. We hope you are all as excited for our 2015 events as we are. If you have any questions about our upcoming retreats, please view the pages linked above. If you have any questions we may not have answered, you can email us at info@cambridgewritersworkshop.org, and for inquiries, please email the CWW Directors, Rita Banerjee and Diana Norma Szokolyai, at directors@cambridgewritersworkshop.org. You can also follow us on Facebook, Tumblr, and Twitter for more information and updates on any of these events. We look forward to making 2015 a year full of creativity, writing, and renewal, so join us as we make 2015 rock!